Coffee runs, thousands of copies, and busy work. These are only a few words that do NOT describe the life of an associate here at DFS Creative Concepts. I watched a webinar recently by ‘People Matters’ and Oracle entitled “Engaged Leadership Furthers Your Business.” One of the quotes used in the video said “The way you treat your employees is the way they will treat your customers,” by Richard Branson. 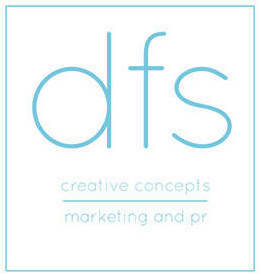 It got me thinking about how lucky I am to have one of my first professional experiences with DFS Creative Concepts, a place where I walk in every day knowing that my worth is recognized, my skills are utilized, and I am valued. Honestly, being an associate is like being friends with benefits. Everyone outside of the company sees you as an intern, but inside the exposed brick and pink painted walls, is a marvelous world of work that normal interns can only dream about doing, from day one. All the benefits of being an associate, but the outside still considers you an intern. I was pleasantly surprised to come to my first week of work at DFSCC and instead of being handed thousands of papers to file or making me memorize everyone’s Starbucks orders, Dorothy asked me what I am good at, what I’m passionate about and most importantly what I want to do. At DFSCC I am treated like I have value and like the work I do matters; and I believe that Richard Branson would smile upon DFSCC when knowing how we operate here. At DFSCC it is a known fact that investing in your business and your brand means investing in and engaging with your people. In turn, your business is more productive, because your company is quite literally an organization that wears its heart on its sleeve. When cogs are turning, and passion is flowing throughout your company, you will inevitably produce good things and give off good vibes. I was told a few years ago that “being intentional goes a long way,” in the sense of making friends in high school and college. This advice has only proven to become more true and relevant as my life goes on and I grow older and wiser and tackle new experiences. I believe this can apply to everyone in the work place: Because a boss that is intentional about investing in their employees will go a long way when inspiring employees to do their work with passion. Employees who intentionally do their work to the best of their ability and with passion and excitement will take the company further than the boss ever could. To all the associates reading, look for a boss who invests in you and sees your work, and work hard for them. To all the bosses out there, be intentional in valuing your associates and the work they produce, no matter how small.